Real Jamaica Tour from Montego Bay – SNL Jamaican Tours, Ltd.
We offer a “Real Jamaica Tour” in Montego Bay area that will take you over the mountains where most of the locals farm the lands. There are little old towns that were developed during slavery. You will get to see a lot of local fruit trees including Coffee trees, Cocoa trees (chocolate), bread fruit, Cashew, Turmeric, Nutmeg, Pineapples, etc. You will also get a chance to drink fresh coconut water and eat fresh organic fruits including sugar cane. The tour will also take you to downtown Montego Bay where you will visit historic sites such as Sam sharp Square, the St, James Parish Church which was built in 1775 (over 240yrs) and still fully functional (a contribution to the church at your pleasure is greatly appreciated). From there we will visit the Richmond Hill Great House which was built in 1804 and is situated on top of a hill in the center of town. From there you get the beautiful, breathtaking panoramic view of the entire city of Montego Bay and looking out into the ocean. The view stretches as far as Lucea which is about 25 miles away (admission USD$3pp). 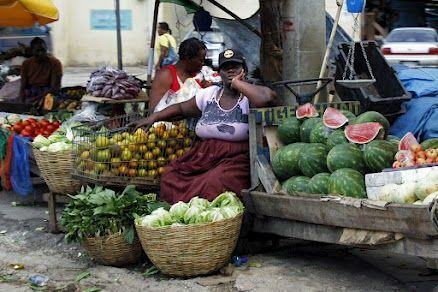 From there we go to have authentic, mouthwatering Jamaican lunch and shopping at your pleasure. Children 3yrs and under ride FREE!